According to online articles and blog posts I’ve read, Alvi Tsarnaev, Ruslan Tsarni’s brother, is linked to the organization “United States-Chechen Republic Alliance, Inc.” And as much as that seems plausible because Alvi used to live at the same Silver Spring, Maryland address where the the organization was registered, I have yet to see any documents from the organization that actually link him to it. The organization, which lists Lyoma Usmanov as president and Issa Issakov as vice-president, could potentially be of interest. But the question here is whether or not a member of the Tsarnaev family was actually involved? The United States-Chechen Republic Alliance, Inc. was first organized in Washington D.C. and Maryland in 1998 and 1999, respectively. 2002 tax returns show that the organization’s NTEE class was “Q99” – a classification that entails “International, foreign affairs, and national security N.E.C.” National security, huh? That’s interesting. And it appears that the organization was active until 2004 until the IRS issued a status bulletin listing several organizations that had “failed to establish…or maintain their status as public charities or as operating foundations.” The list included the United States-Chechen Republic Alliance, Inc. that did not necessarily mean the organization lost their status. Additionally, a disclaimer in the bulletin noted, “The following organizations (which have been treated as organizations that are not private foundations described in section 509(a) of the Code) are now classified as private foundations.” So potentially the United States-Chechen Republic Alliance, Inc. may very well be a private foundation as of today. And frankly, let’s be honest here. The only juicy thing we have to go on when it comes to this organization is the president, Lyoma Usmanov. Otherwise, you are not going to find much regarding the organization’s activities. So who is Lyoma Usmanov? He was born in 1955 and received his education in Grozny, Chechnya. 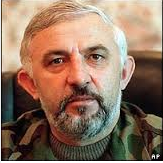 He is deeply involved in Chechen politics and became a self-appointed U.S. representative of Chechen President Aslan Maskhadov’s government when he first arrived in the States back in 1995, ten years before Maskhadov’s death. Former National Security Advisor Zbigniew Brzezinski, the man linked to the creation of al-Qaeda back in the day, was his sponsor. And yes, that was before Brzezinski sponsored Prime Minister Ilyas Akhmadov when he first arrived in the US. In fact, Ilyas Akhmadov refers to Usmanov as the one who helped him when he first arrived in the U.S. It was in early 2000, when Ilyas Akhmadov arrived in the States for a meeting with officials from the U.S. State Department at an undisclosed hotel. Lyoma Usmanov commented on the meeting, describing it as “pleasant but unsatisfactory.” And according to Radio Free Europe, State Department spokesman James Rubin confirmed the meeting with “lower-level [Chechen] officials” and added that, “…a meeting does not indicate U.S. support for Chechen independence…the U.S. supports the territorial integrity of Russia and does not recognize Akhmadov as Chechnya’s foreign minister.” CNN also quoted Rubin as saying, “The discussions do not constitute a change in policy or recognition of Chechnya in any way, shape or form…we continue to hold the view and recognize Chechnya as a constituent part of the Russian Federation.” Oh, the lies. Fast forward to today and HERE’S Stratfor’s take on Chechnya and the North Caucasus. Essentially, the U.S. government made it appear that U.S. policy at the time supported Russia more so than Chechen President Aslan Maskhadov’s government. It seems odd then that Zbigniew Brzezinski was sponsoring Maskhadov’s right-hand men and that Lyoma Usmanov began working at the Emerging Languages Task Force at DLIFLC within the next three years after the 2000 meeting. 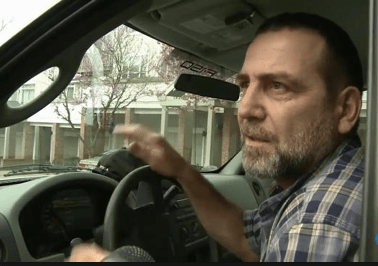 Furthermore, a Boston court granted Ilyas Akhmadov asylum in less than four months. In fact, the United States had been supporting Chechen rebels the entire time but no one has time for that story right now. So…lemme get this straight – the US publicly states that they do not recognize Aslan Maskhadov’s government, they tell these Chechen guys to basically bugger off and three years later one of them is happily plugging away at a language terrorist task force job for the DoD while the other is being courted by the US Congress? Yeah. That makes sense. 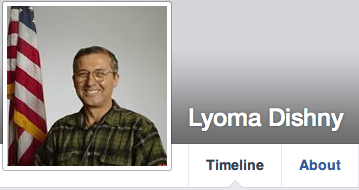 Lyoma Usmanov remained at the job until 2011 but it is unclear if he is still there today. By 2010, he had already been involved in a string of businesses and had legally changed his name to Lyoma Dishny. In 1994, he became director of Meganit UK Limited and was (or maybe still is) involved in the sale of rice (under the name Vietnam Rice). Although I doubt he ever really sold Vietnamese rice. The company also appears to be a subsidiary of GIA HOI Co., Ltd which is listed under agriculture and livestock. Livestock? He’s also done work for the Wilson Center while apparently taking up the job title of olive oil runner out of Spain. And then there’s a Las Vegas Meetup website where Usmanov/Dishny posted that he is a member of PIERCE Bullet Seal Target Systems (whatever being a member means) and that he has (and perhaps still does) dabbled in the oil trade industry (who hasn’t?) through a company called the Oasis Commodities Group.